Mayo - 38039 POSTCARD: IRELAND: CO. MAYO: Slievemore and Dugort Strand, Achill Island. 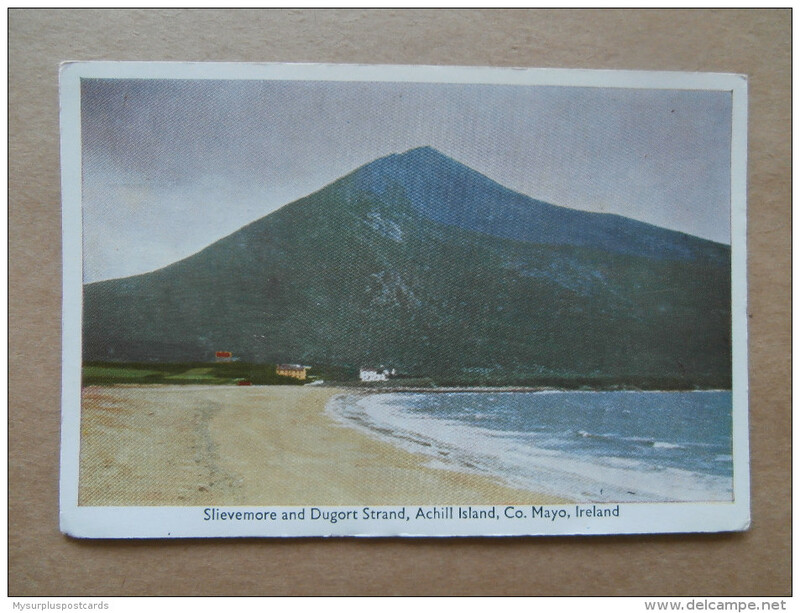 DETAILS: 38039 POSTCARD: IRELAND: CO. MAYO: Slievemore and Dugort Strand, Achill Island. 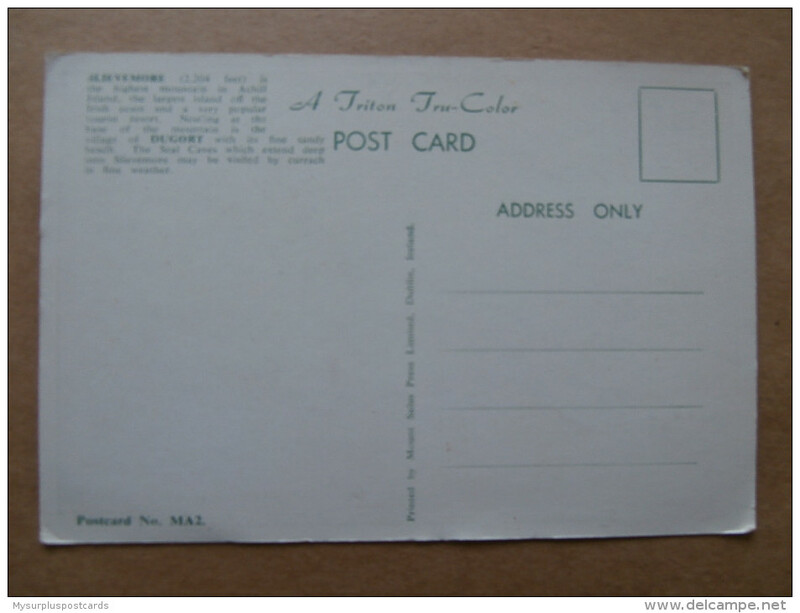 PUBLISHER: A Triton Tru-Color Post Card. NUMBER / IDENTIFICATION: Postcard No. MA2. APPROXIMATE SIZE: 15 cm x 10.5 cm. CONDITION: Corners and edges worn. Many scratch marks and other marks on face of card. Please take a close look at font & back for details and condition. PLEASE TAKE A LOOK AT MY OTHER POSTCARDS. 48345 POSTCARD: IRELAND: CO. MAYO: Clew Bay, Co. Mayo.